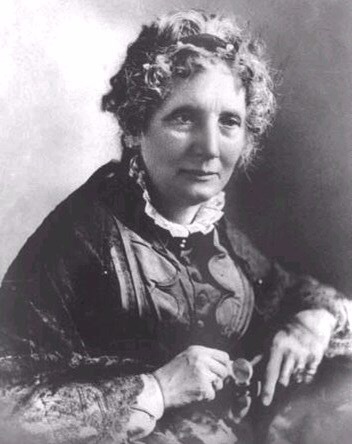 Harriet Beecher Stowe was born in Litchfield, Connecticut. Her father, Lyman Beecher, was a leading Congregationalist minister and the patriarch of a family committed to social justice. Stowe achieved national fame for her anti-slavery novel, Uncle Tom’s Cabin, which fanned the flames of sectionalism before the Civil War. Stowe died in Hartford, Connecticut, on July 1, 1896.